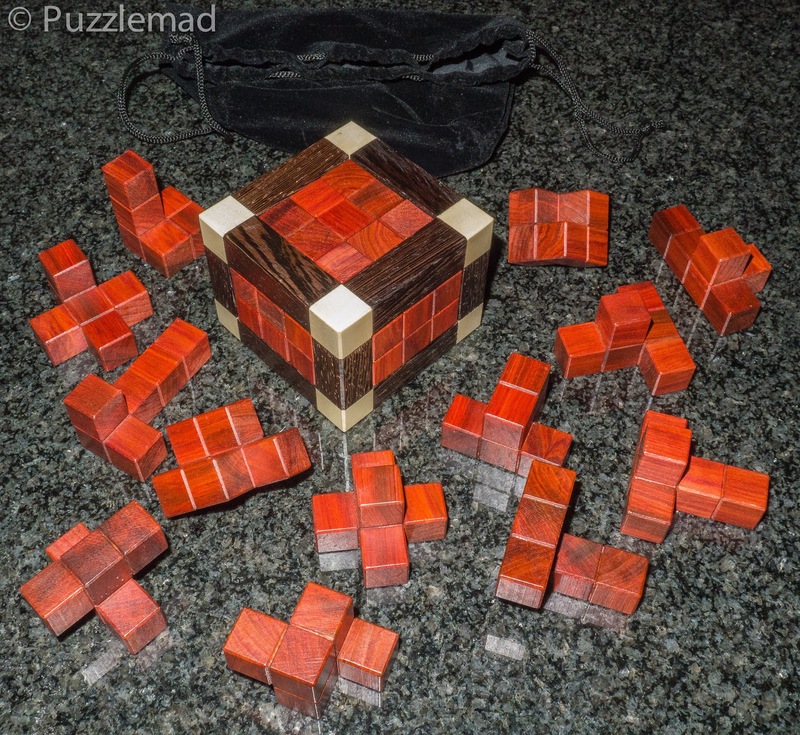 Puzzlemad New Additions: I Seem to Have Had a Splurge! I Seem to Have Had a Splurge! Shortly before I went to London to be with my poor late Mum, I received a beautiful package from Jakub Dvořák, one of the partners (along with Jaroslav Švejkovský) in the New Pelikan Workshop. 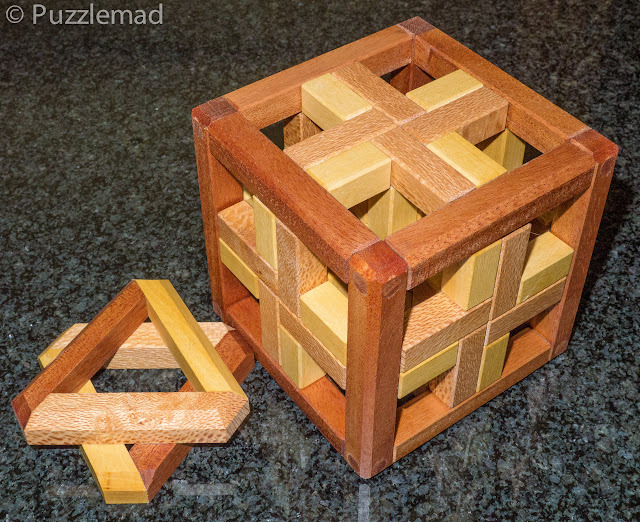 These two puzzles were both designed by the amazing Stéphane Chomine. They are both very beautifully made - the accuracy has to be seen to be believed and are combinations of board burr with either burr sticks or a cross. They slide beautifully and are really quite tough puzzles. Maybe not for a beginner but certainly perfect for someone more experienced and any collector. These are almost certainly going to be available only in limited numbers. 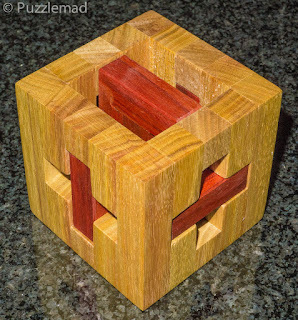 Almost all the other puzzles they have made recently have sold out quite quickly. This stunning beauty arrived the day before I went to London from Johan Heyns. He has been a puzzle craftsman for many and has recently stepped up his production of incredibly beautiful puzzles since he was made redundant. It is my pleasure to help keep him afloat. 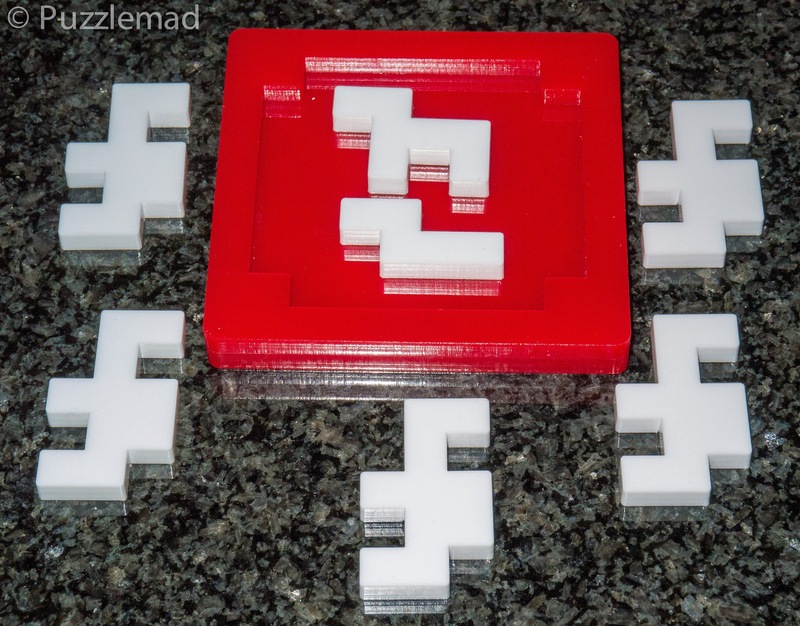 More puzzles will be coming from his workshop over the next few months. These next few arrived after I came back from London (luckily Mrs S was out getting her hair done and didn't see how much arrived) The first 2 are designs by Osanori Yamamoto. Cockpit on the left is a caged burr with very simple burr pieces and an interesting solution. 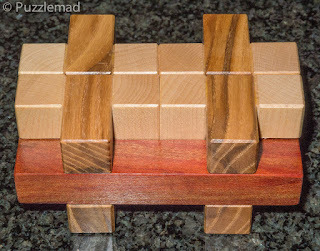 I couldn't resist the Canarywood and Refheart combination. On the right is Four mirror one which is a rotational puzzle that is similar to the famous Cockpit. 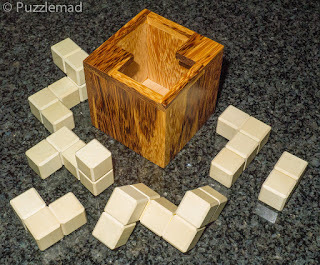 That one is a Readheart frame with pieces made from Maple and Marblewood. 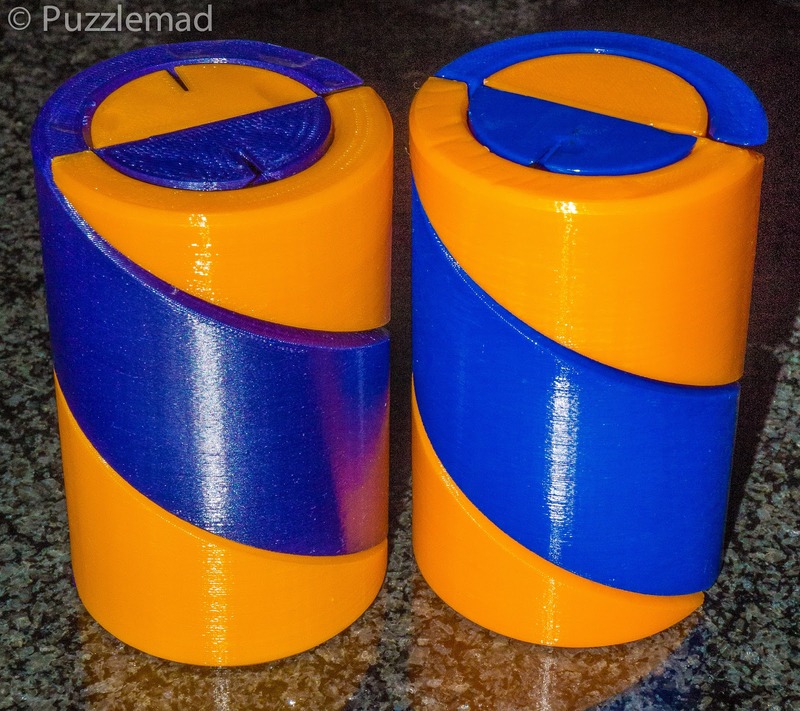 These two were entrants in the last IPP design competition. 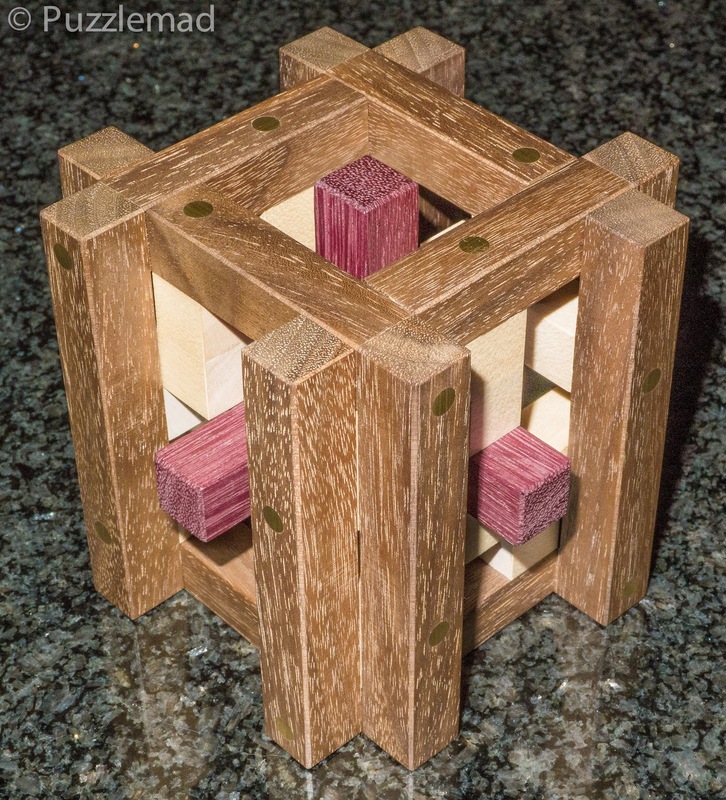 I am really poor at packing puzzles but when Brian made these for sale (and the hexacube set for preorder) I could not resist! 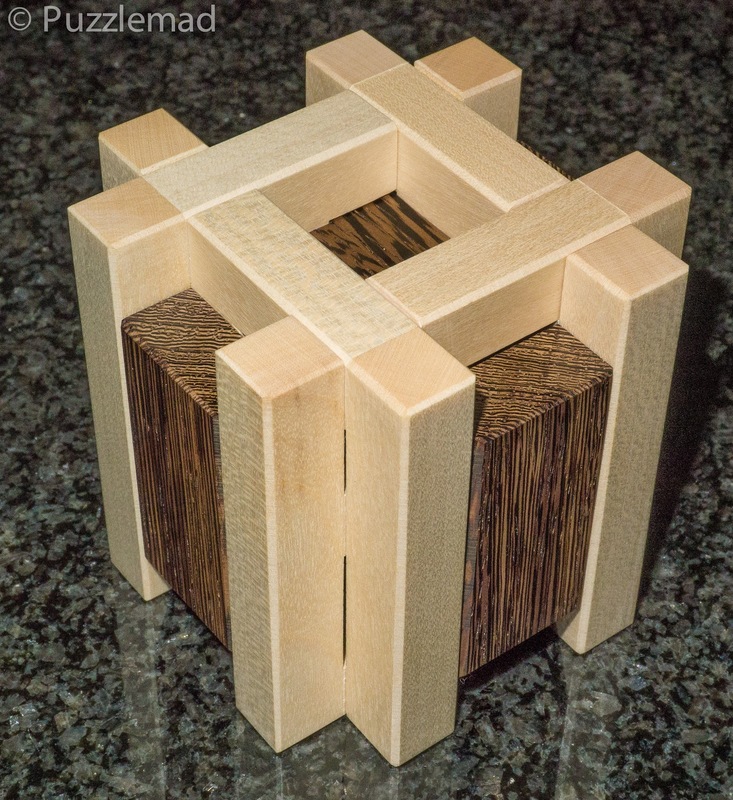 The hexacube set comes with a few sheets of paper denoting many dozens of challenges using different combinations of the hexacubes. 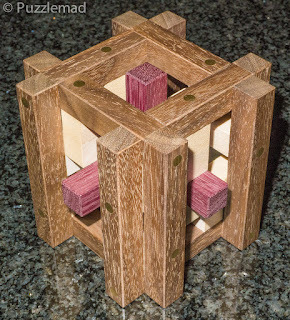 This arrived from Steve Nichols whilst Mrs S was out - I had seen that he and Derek Bosch had worked together again to produce more of these helical burr puzzles and they had made this very special set of very difficult puzzles - How could I possibly not buy them? There may still be a few copies of Twiddle Dum left for you to purchase on Puzzle Paradise here and here. In Steve's package alongside the helicals was a gift from fellow blogger Jerry Loo - this was his packing puzzle exchange. There are 5 camels, a dog and a snake and there are a couple of combinations which form the puzzle challenges. Thanks Jerry! The final package to arrive yesterday was a complete surprise from my good friend Shane Hales. We have chatted a fair bit around the time of my mum's illness and death and I was so chuffed when he sent a condolence card. Apparently to take my mind off things he decided to send a puzzle too. 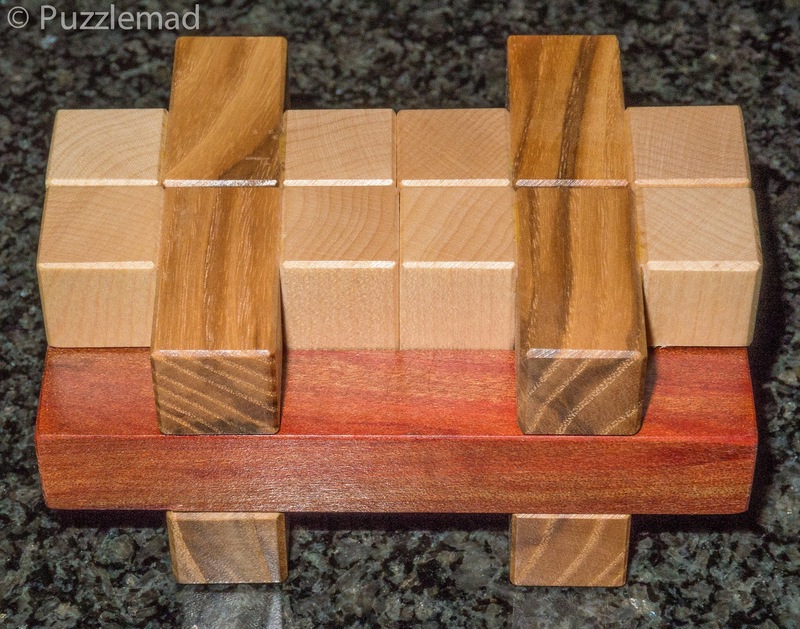 He has designed and made a few of what he calls "interval puzzles" (i.e. not good enough to be full puzzles!!) This is the Wire Cutter - apparently the aim is to connect the circuit up properly. It smells lovely and so far I have no idea what to do. 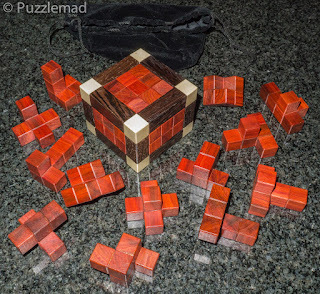 I now have so many puzzles waiting for me that I barely know where to turn next!!! 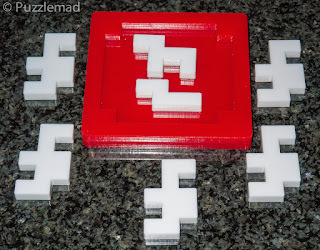 I am going to have to start a list of puzzles awaiting solution!